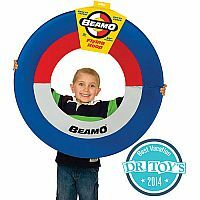 Catch on to this cool flying toy - Beamo! 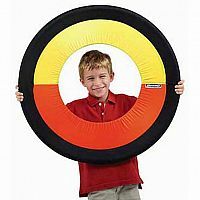 Measuring 30" in diameter and weighing only 13 ounces, this giant, lightweight and durable flying hoop is a true classic. 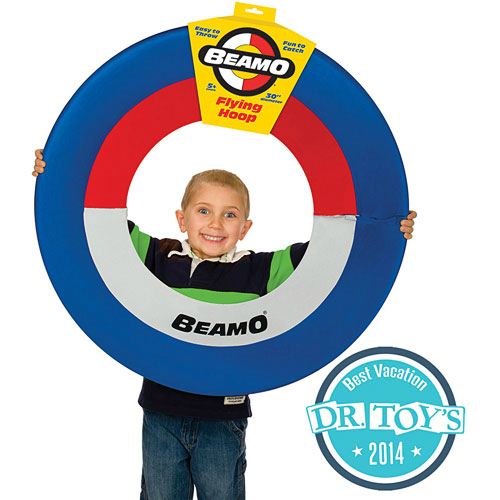 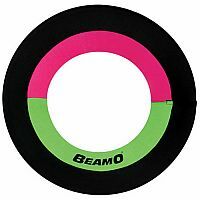 Easy to throw, and more importantly even easier to catch, the Beamo can go over 100' on a toss! High flying fun for the entire family. 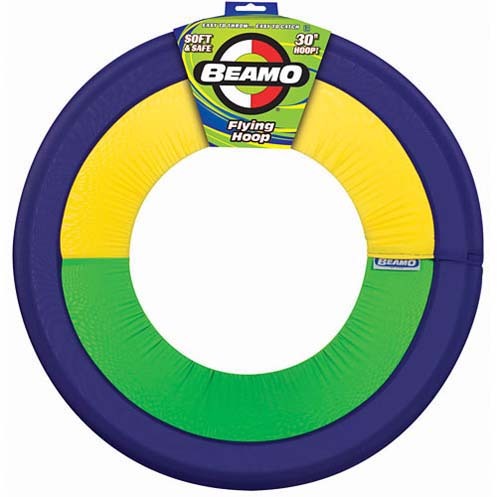 Gift wrap not available for this item. 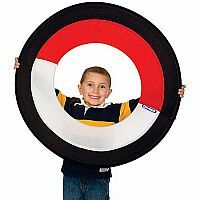 Measures approximately: 30.00 x 30.00 x 2.00 inches..